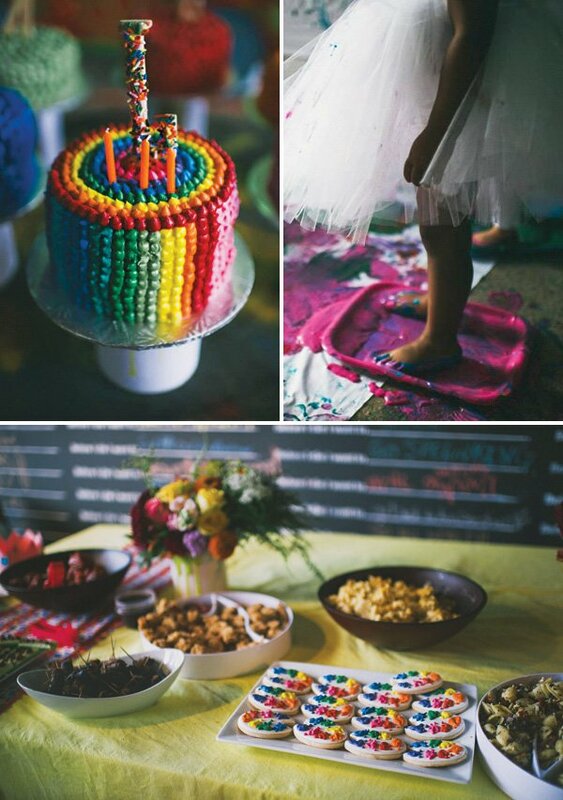 If you’ve ever had the pleasure of knowing a three year old, then you know that they can be a colorful age group. Bursting with energy and unbridled excitement for exploring the world around them, three year olds are almost always on board for some good, not-so-clean fun. 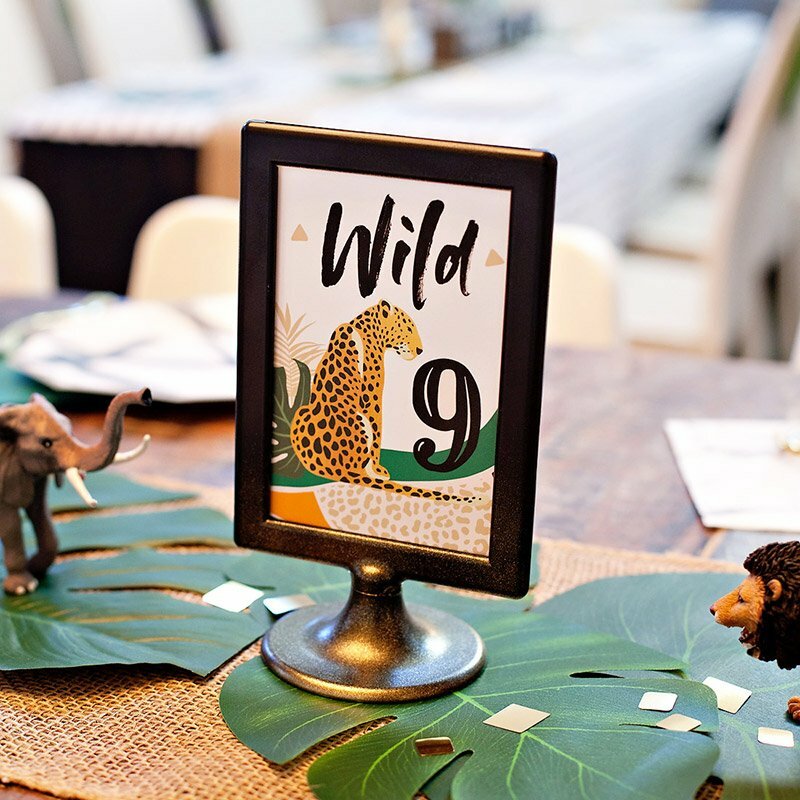 As a newly-turned three year old and budding artist, this rustic art party was the perfect celebration for Lila’s big day. 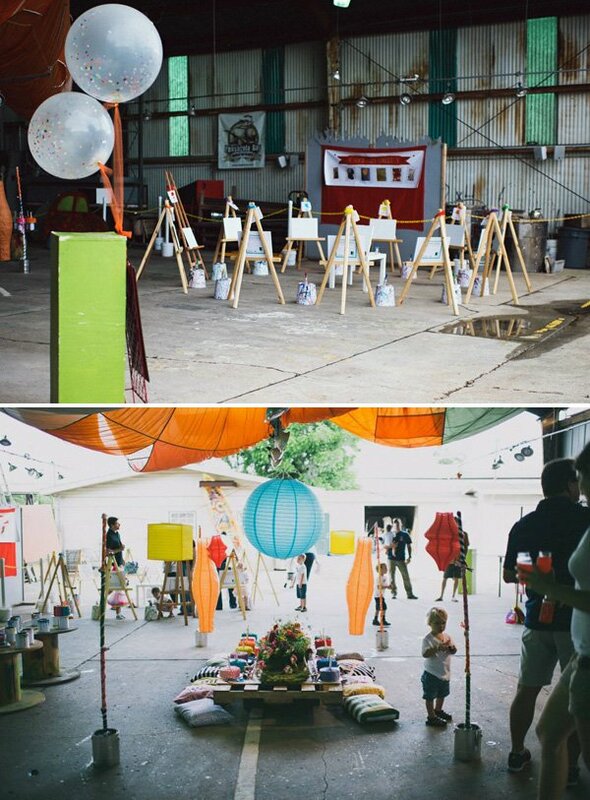 Hosted in downtown Pensacola, the industrialized warehouse used for glass-blowing made the perfect venue for an event full of fun, color, and personalized details. 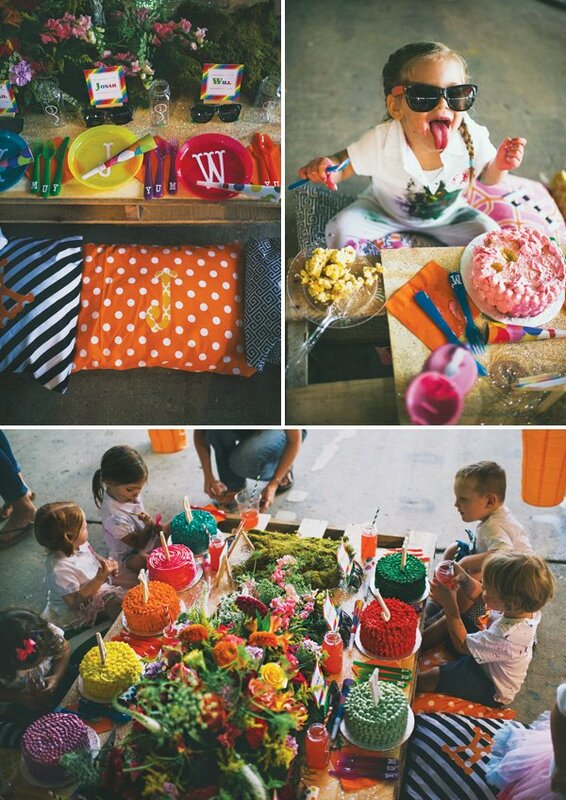 What kid wouldn’t love a day where the only rules were to have a blast AND make a mess (made possible by the monogrammed shirts supplied for each guest which kept their clothes clean and mamas happy)? 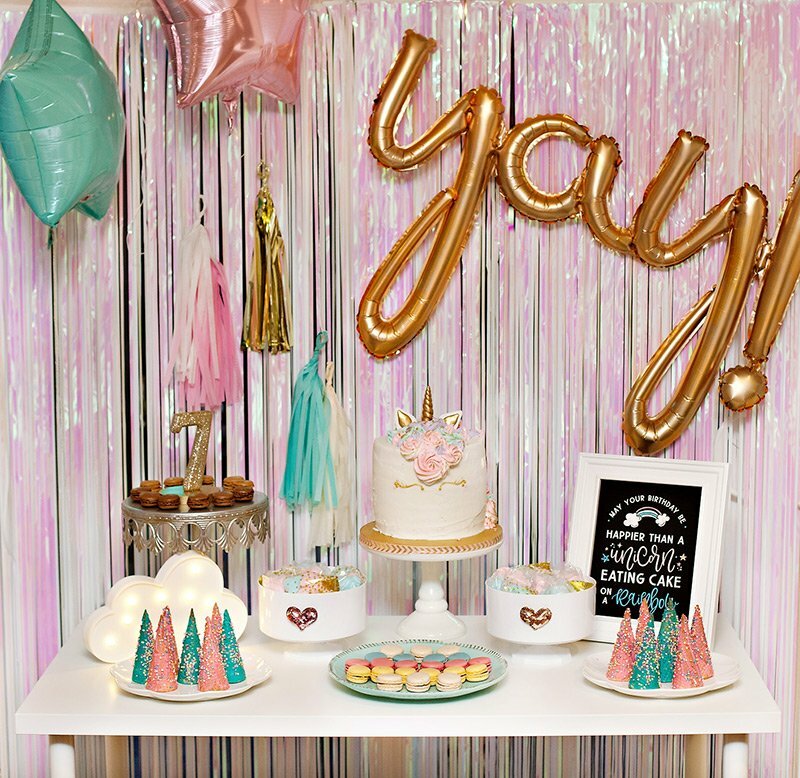 From the paper lantern canopy covering the glittered pallet table to the personalized utensils, this celebration was full of the kind of DIY projects we love! Each petite Picasso was guided to their places of honor with a name plate displayed on a tiny easel. 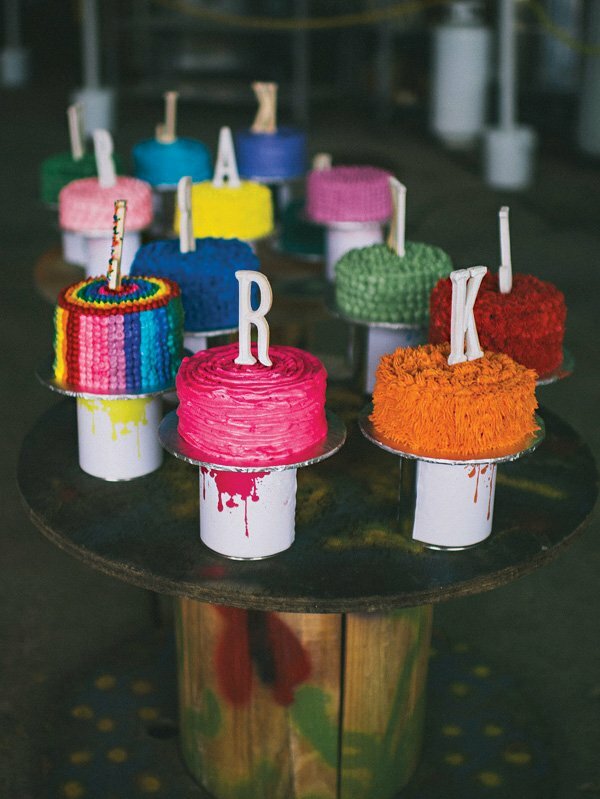 Each guest was greeted with a personal cake, topped with a custom wooden initial and accompanied by brightly colored personalized plates and utensils for digging in. 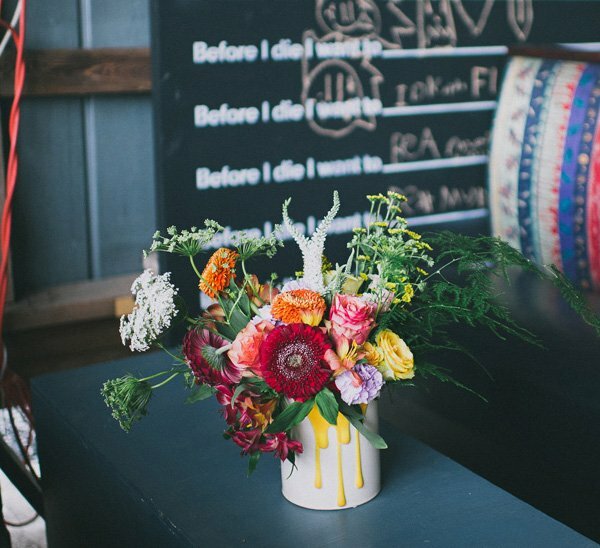 The low mossy table runner made of wildflowers served as both beautiful table decor and colorful inspiration for our artists as they fueled up for an afternoon of art-filled fun! A pair of perfectly sized retro sunglasses kept little eyes protected from flying paint splatters (and let’s face it, they just look cool!) and party blowers kept the celebratory spirit going. 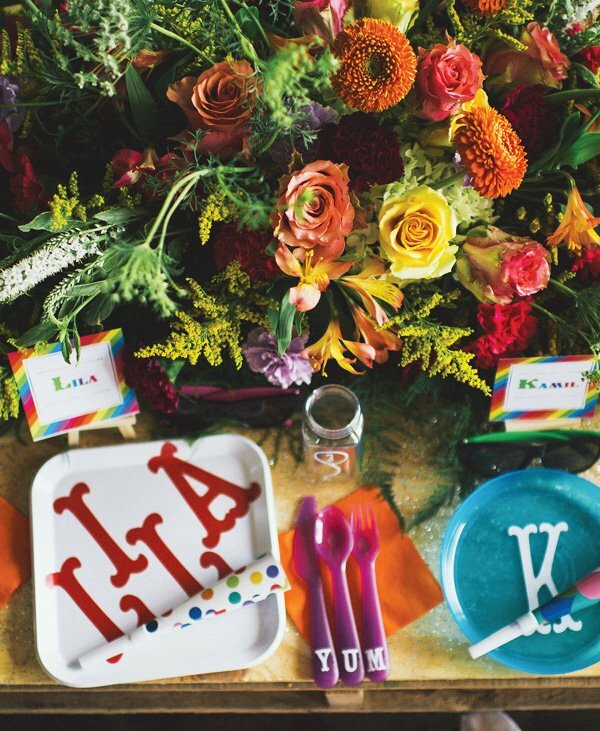 And what better way to enjoy delicious party fare than seated upon a personalized pillow? No detail was spared for Lila’s day! 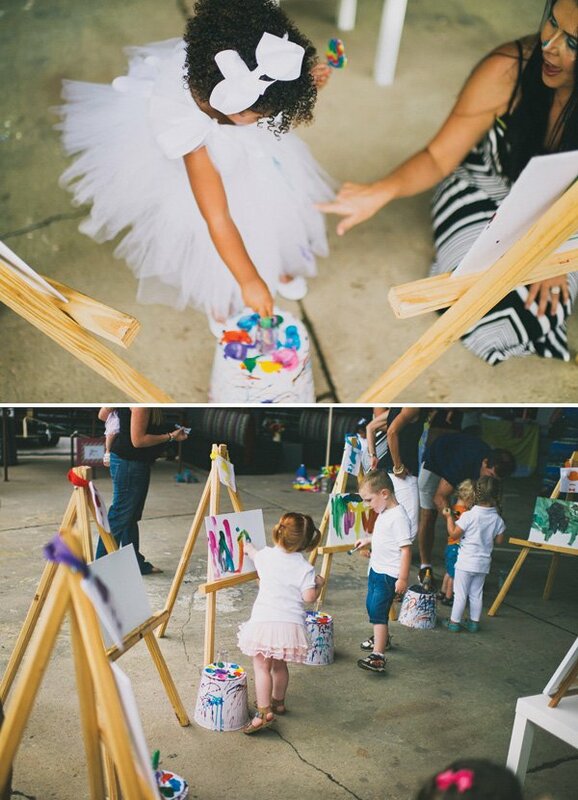 Once these tiny tots were on their highest sugar rush, it was time to paint! 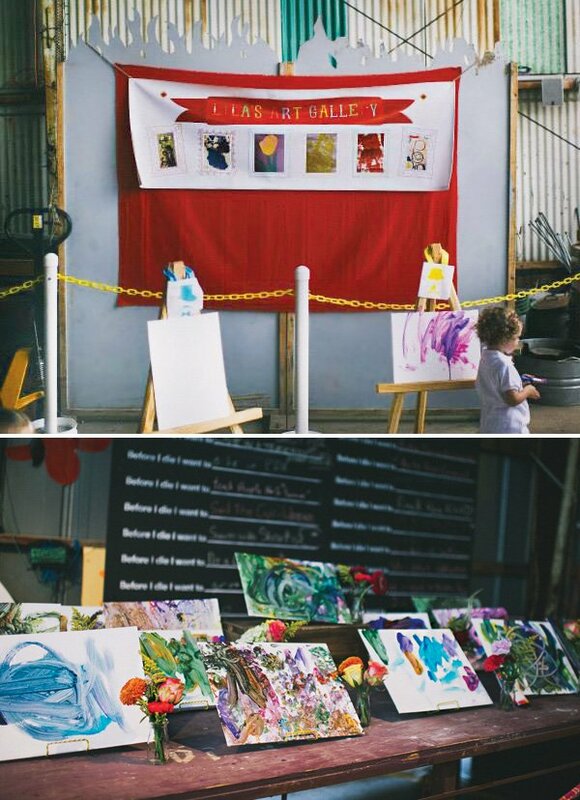 “Lila’s Art Gallery” (complete with life-sized banner directing guests to the space) featured digital copies of a few of Lila’s own personal masterpieces. 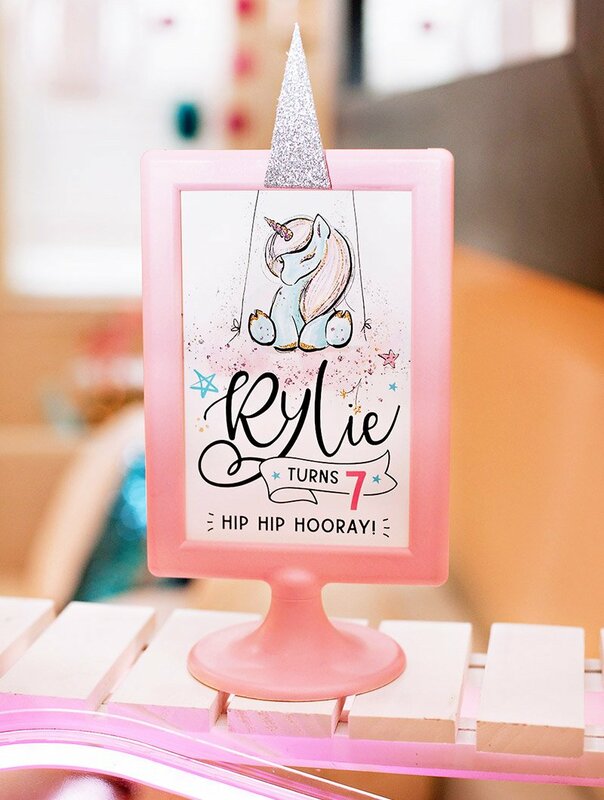 Each toddler-sized easel was hand-crafted just for Lila and her friends and included personalized art palettes for each of the cutie creators. After creating their works of art, the priceless portraits were displayed in a mini-museum for all to admire. 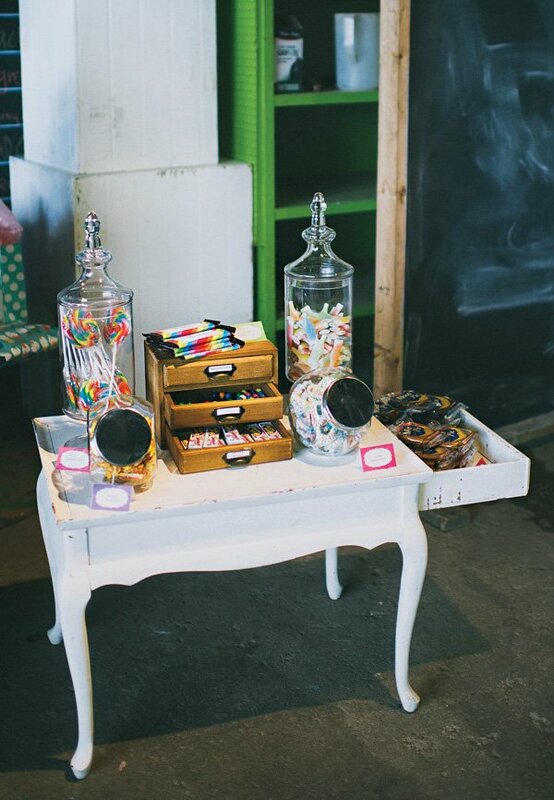 With fragrant florals abounding throughout the space, adorable glass favor jars from Kate Aspen were used both as water glasses for our little artists to clean their brushes and as darling vases filled with beautiful buds set out to compliment each painting. As the colorful canvases dried, our painters let their creativity (and energy) fly on a splatter paint canvas activity. 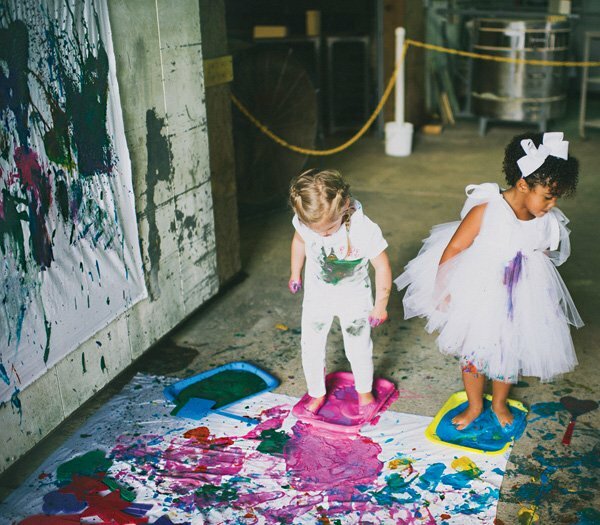 Amid giggles and flying paint splatter, another collaborative masterpiece was created — as was a giant mess! 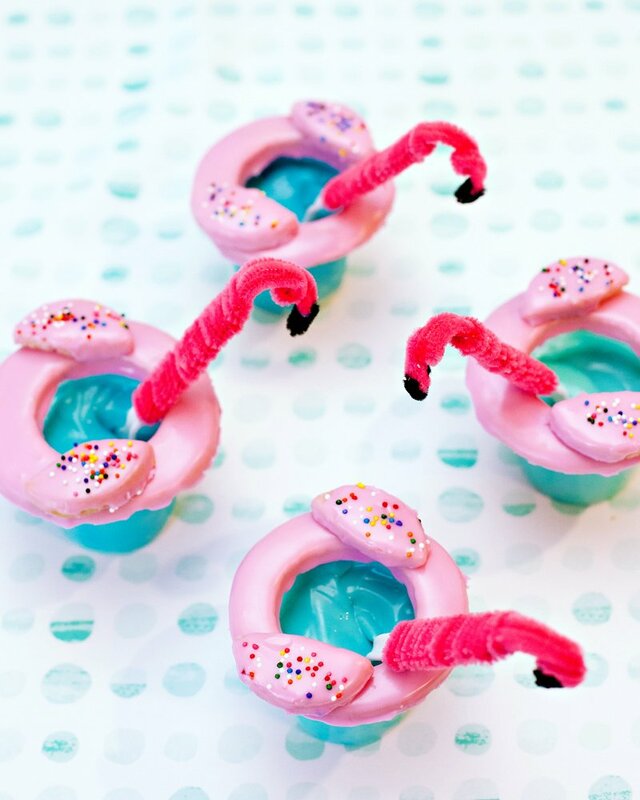 And what better way to get clean but by splashing in a pint-sized, painter-perfect pool? 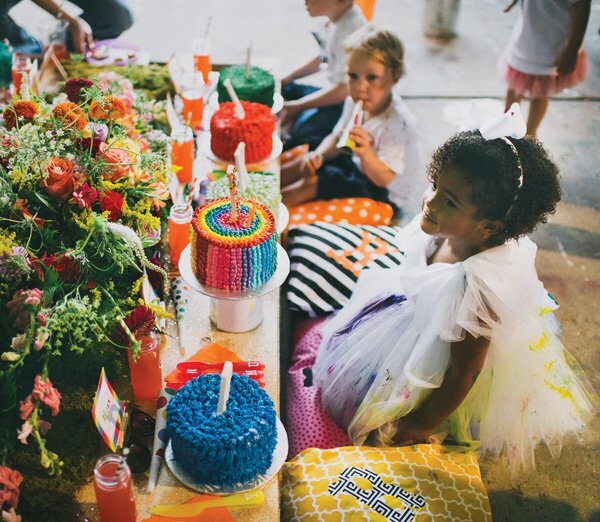 At the end of the day, this celebration was a messy, creative, colorful celebration of everything that makes three year olds so special. And we want to wish a certain extra-special three year old a year full of masterpieces and magic: Happy Birthday, Lila! – I love to cook and bake, the more chocolate the better! 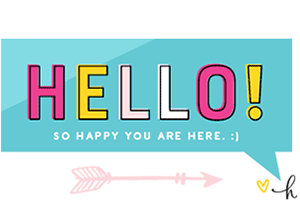 I’m so thrilled to continue to learn more about this industry and meet more of you! Check out my Party of 5 post every Friday for a fun mix of my favorite creative party albums from our social site! 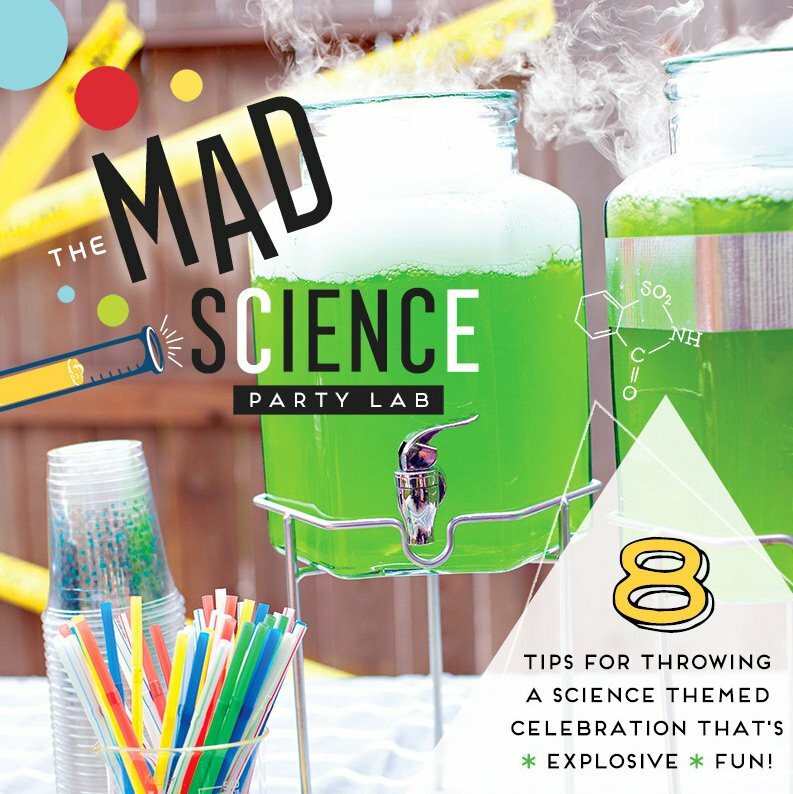 The Mad Science Party Lab – 8 Tips for Explosive Fun! 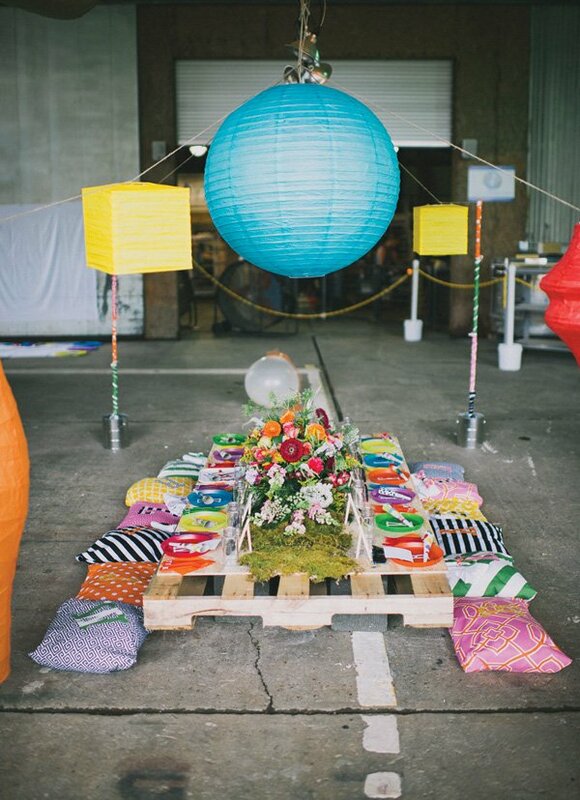 I am planning to have a kid’s table at my wedding in a couple months- LOVE the pallet idea! 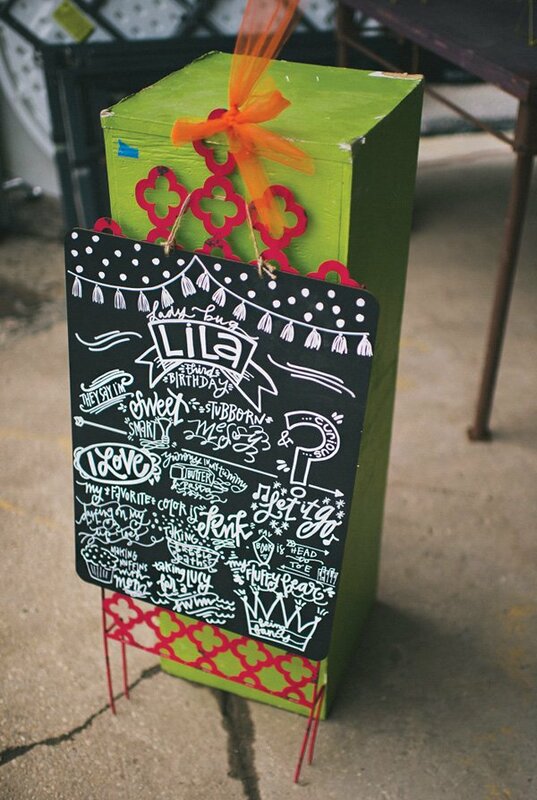 what and how did you prop the pallets up so that they were sturdy enough for the little ones to use?